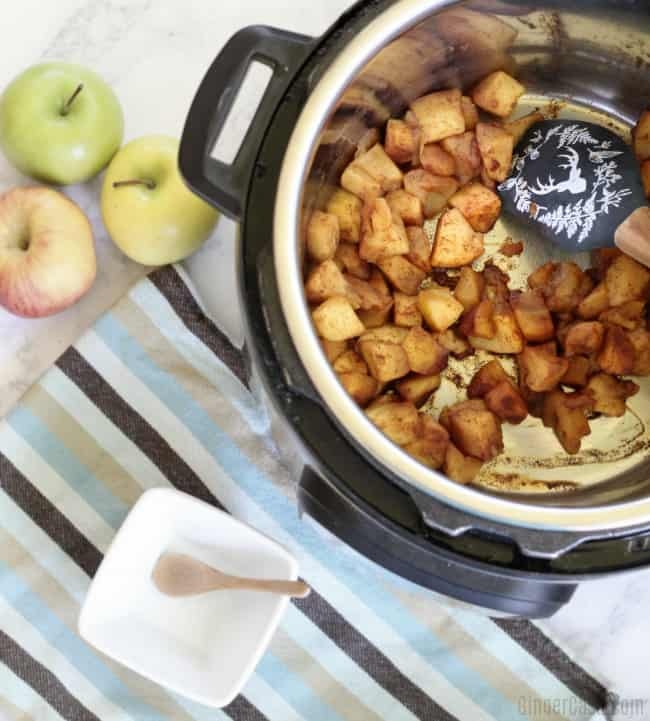 Instant Pot Cinnamon Apples - Great For Snack, Breakfast, or Dessert! A few years ago, our oldest ordered cinnamon apples at a restaurant and he was hooked. They were buttery, cinnamon-ny, and delicious. 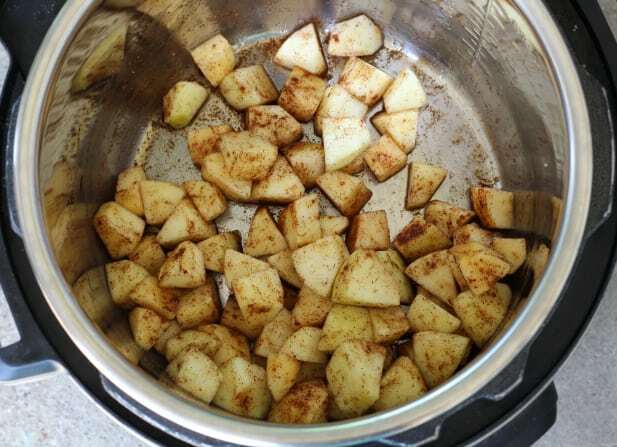 I wanted to recreate these easily at home, so I made Microwave Cinnamon Apples. (< click for that recipe!) Fast forward a few years and thousands of apples later, I am all about the Instant Pot. 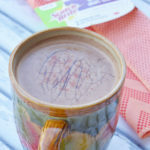 While I would still rank the microwave cinnamon apples a little easier with less cleanup, the Instant Pot Cinnamon Apples are pretty awesome, too. And they are good if you are concerned about using a microwave. First things first, gather your ingredients. Any kind of apple will work. I have used Gala, Fuji, Granny Smith, and Honey Crisp. They are all delicious! In addition to your apples, you will need cinnamon and water, and also your choice of sweetener. If you are using Honey Crisp apples, you may not even need any sweetener. 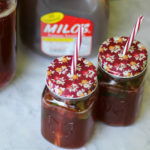 You can use coconut sugar, white sugar, stevia, maple syrup, honey, or whatever else you love to use. Just don’t add the honey until after your apples are cooked. 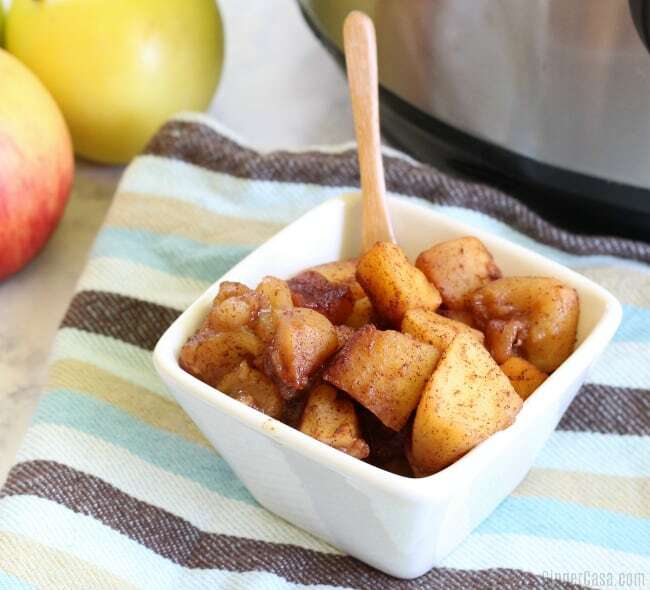 It is low effort, maximum taste with these instant pot cinnamon apples! 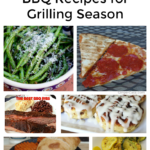 Don’t miss my other Instant Pot and Air Fryer recipes! 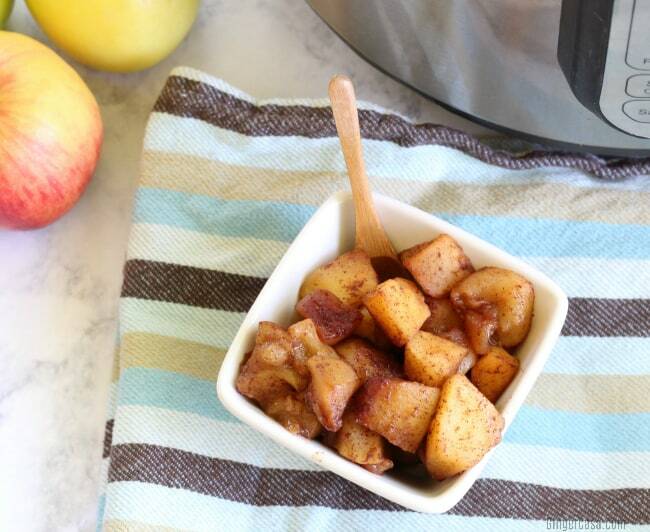 Instant Pot cinnamon apples are great for a snack or dessert. Leave the sweetener off and they still taste amazing! 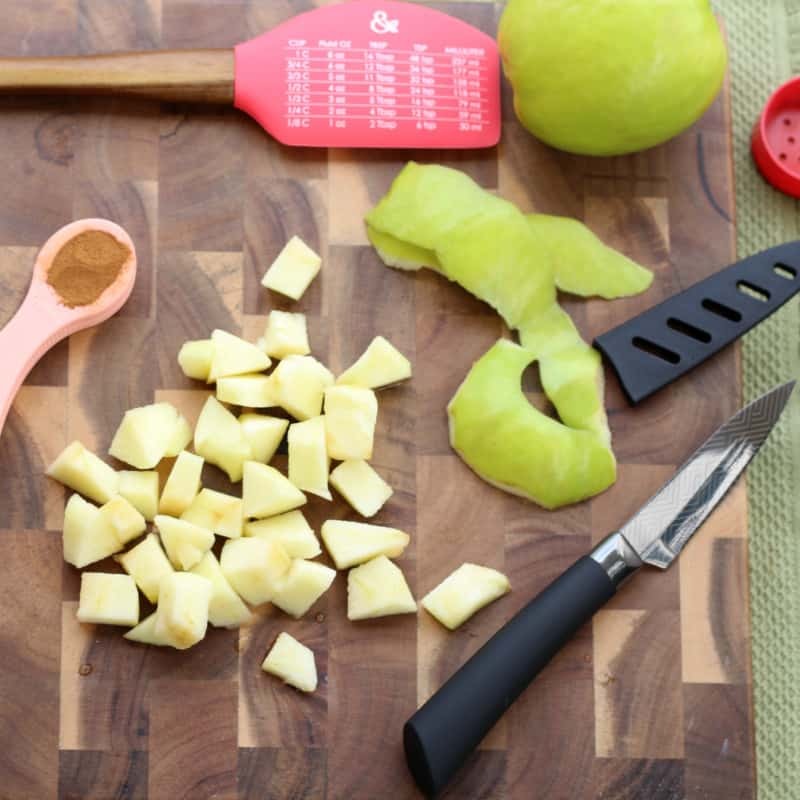 Peel, core, and chop apples into cubes. Place apples and water into your Instant Pot. Stir well to coat apples with sugar and cinnamon. Place lid on and lock. Set Instant Pot on Manual for 3 minutes. When cooking is complete, a quick release or natural release is fine. Serve apples by themselves or with a scoop of vanilla ice cream or pecans! It’s so fast and easy. Thank you for sharing the recipe!! These went so well as a sidedish with my Smokey Parmesan Crusted Pork Chops. I did add some vanilla extract to the water prior to cooking. Soooo delicious! Thanks for sharing his recipe. I added 1 tbsp of butter and a dash of nutmeg and ginger, reduced the time by 1 minute and they came out slightly crisp. Perfect!! I would add water, a little at a time. Doubling won’t hurt, but I wouldn’t think you’d need that much. I haven’t tried it so I don’t want it to backfire on you, though. Good luck!